Ann2RDF is an interoperable semantic layer that unifies text-mining results originated from different tools, information extracted by curators, and baseline data already available in reference knowledge bases, enabling a proper exploration using semantic web technologies. This result in a more suitable transition process, in which desired annotations are enriched with the possibility to be shared, compared and reused across semantic Knowledge Bases. 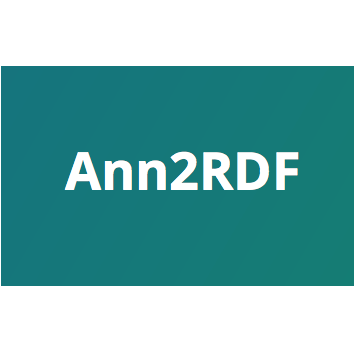 Ann2RDF is available at http://bioinformatics-ua.github.io/ann2rdf/.